If you've been following along with Boca's recent Ocular Ordeal, you know that pet insurance saved our butts on treatments and surgery totaling several thousand dollars. While the process wasn't perfect (my claim was initially denied), it did confirm that buying pet insurance for The Ginger Sisters was the right choice for me, and I won't go without it for my dogs. Pet insurance can be overwhelming and confusing, and there are many considerations to explore before purchasing a policy. Having worked in the insurance industry for fifteen years now, I am comfortable navigating the fine print of coverages, exclusions and claims, something I know can be intimidating. This is by no means a comprehensive analysis, and although Ruby and Boca are both insured, I won't be specifically promoting or linking to those companies here. I use two different companies and my dogs have two very different policies - something that is nice about pet insurance is that it is very customizable. You can find coverages to fit almost any budget. I have had claims with each of the companies I use; a small suspected obstruction claim for Ruby (which thankfully turned out to be nothing) and a major claim for Boca's conjunctival graft surgery and associated treatments. Both were handled quickly and I had reimbursements in hand or directly paid to my vet within two weeks of submitting the claims. Something that is extremely important to remember is that pet insurance in the U.S. handles claims on a reimbursement basis, which means that they reimburse you after you pay the vet charges for accident or illness. Some companies will pay the vet directly if this is pre-arranged and agreed upon by all parties. Limits: This is the amount the policy will pay per year or over the lifetime of the pet. There are some companies that have an unlimited lifetime benefit, and others that offer as low as $1,500 per year. Unlimited policies are going to be more expensive, and lower limits will be more budget-friendly. Some policies have both annual and lifetime caps. Deductible: This is the flat-fee amount you will pay out of pocket when you have a claim. Some companies offer an annual deductible and others are per-claim. For example, if you have a $500 annual deductible and submit a $1,000 claim, you would be reimbursed $500 (less your co-insurance and any exclusions or adjustments) but any claim after that within the policy year would not be subject to a deductible. If you have a $100 per-claim deductible, that would be subtracted from each claim. Your deductible choice is reflected in the premium - lower deductibles cost more. If you want something for catastrophic events, such as a long term illness or emergency surgery, but are comfortable paying smaller bills out of pocket, a mid-range limit, high-deductible plan is a good choice. This is what I have for Boca. For Ruby, who needs more bubble wrap due to her flight-risk, high energy and propensity for eating things like gravel and plush toys, I have an unlimited plan with a low-deductible. 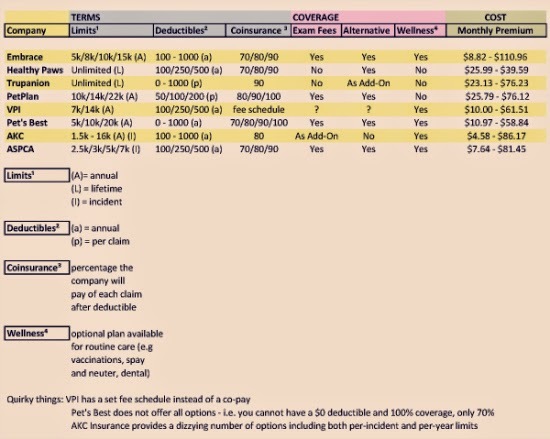 Ruby's monthly plan costs more than twice what Boca's does, and my own risk management somewhat backfired when Boca was the one who ended up needing expensive treatment. Choosing insurance can feel a bit like gambling. Co-pay or Co-insurance: This is a percentage of a claim that you are responsible for. Most companies offer 70%, 80% and 90% reimbursement rates with a few offering 100%. Going back to that $1,000 claim with a $500 deductible, if you also had an 80% reimbursement rate, you would receive back $400 after your deductible and co-pay were applied (and yet another way in which companies differ is the order in which deductible and co-pay are applied to the claim.) Once again, the lower your co-insurance, the higher your premium will be. Premiums: This is the bottom line - the amount you will pay for the coverage on a monthly or annual basis. I think many people assume that insurance is too expensive; however, in researching eight of the primary companies I found that premiums can range from as low as $10 a month to as much as $100 a month. I pay $16 a month for Boca's coverage, and if we only ever have the eye claim it will have more than paid for itself in her lifetime. It's one of those things you hope you never need, and if you pay for it year after year without a claim it can be tempting to let it slide. I might be a little superstitious in feeling like that one day I let the coverage lapse is the day something will go wrong. It is well worth it to me to include this monthly cost in my pet budget. Below is a comparison of the major companies that I put together. The premium range is for a young, medium-sized mixed-breed dog: age, breed and size will affect pricing. I apologize for the tinyness/blurriness and any missing information - this was all gathered from websites. I am happy to email the PDF by request. Exclusions: This is a big one, and one of the most crucial things to understand before purchasing a policy. While every company has different exclusions, pre-existing conditions are excluded across the board. I find that this is often misunderstood and one of the biggest reasons for dissatisfaction with pet insurance. Many people don't think about insurance until something is wrong, and of course by that time it is too late to get coverage. Even if the pet hasn't exhibited symptoms, but had something related to or indicative of the problem previously noted by a veterinarian, it most likely would not be covered because the pet insurance companies will request all vet records when there is a claim. Even if your pet does have a pre-existing condition, that isn't always a reason to skip insurance altogether. A pet with hip dysplasia could still have a costly gastro-intestinal illness and a pet with allergies could still tear an ACL and require an expensive surgery. Some companies do not cover genetic conditions, alternative treatments, or behavioral therapy. Routine care and dental care are not generally covered under the standard policy, but many companies offer a separate wellness plan. Other Considerations: Although it can be tedious to pore over policy wording, it is absolutely essential that you understand what you are buying. In looking over reviews on petinsurancereview.com, I found that negative reviews were very often due to a lack of understanding of their policies or insurance in general. A few things to pay special attention to are whether or not the policy covers exam fees (many don't), dental treatment (most don't), whether the reimbursement rate is the same for specialist and emergency treatment, whether medications are covered (some are automatically, others are an add-on coverage) and what the waiting periods are for accidents and illness (most are between 15 and 30 days, many have longer exclusions for hip dysplasia and other orthopedic conditions). It is also important to note that in most cases, once you have a claim, you cannot lower your deductible and co-insurance or increase your limits. Something that I hear over and over when weighing the pros and cons of pet insurance is the savings account argument. This suggests that it is better to put the money you would pay toward insurance premiums into a savings account instead. If I had saved the money from both dogs' premiums from the time I adopted Boca, I would have had around $500 at the time of Boca's eye issue, and been short more than $2,500 for her surgery. This plan would not work for me, and unless you are able to set aside several thousand dollars right off the bat, you will not be prepared for a serious illness or major surgery. Since pet insurance usually requires vet bills be paid in advance, it's a good idea to have some savings in addition to pet insurance if at all possible. I do think that a savings account is a fair alternative to pet wellness plans, since those are essentially a savings plan with a discount for routine care (vaccinations, elective surgeries, dental work). What about you - did you make it this far through all that "boring" insurance talk? Have you considered pet insurance? Thank you for sharing your experience and what you have learned along the way. Pet insurance is something I don't have any experience with and hope to learn more! Bookmarking this for the future! You are welcome! Only a very small percentage of pet owners in the U.S. purchase pet insurance but I think that is slowly changing. Unfortunately, there is just so much to cover! I tried to incorporate a spreadsheet I made, but the print gets too tiny. This was extremely helpful - thank you for putting this out there! I'm happy to email it to anyone who'd like it! P.S. How in the world did you get Boca to stay still for being wrapped up like that? It's hilarious! Boca is so cooperative - she lets me do anything. She actually loves to roll around in packaging and both dogs thought the sheet on the floor was the best thing ever! I decided to go ahead and add in the comparison. I like it! This really is so helpful for those of us that just feel overwhelmed by pet insurance. Thanks again! That's great! I'm glad she liked them, although if she's anything like my girls, all treats are an 11 on a scale of 1 to 10! Thank you for posting this! Insurance has always been one of those things I've wanted to look into getting but wasn't sure about because I didn't understand the lingo. This has been so helpful to me! I'm going to share this with my husband when he gets home so we can talk about it more! The girls are around 5 now and haven't had any major issues but I think it's time to start thinking about this more! Yep, you definitely want to get coverage *before* any major issues because that just complicates things. I'm glad it was helpful! I wish I would have been able to get the spreadsheet to work to add some interest - I know it's a lot of text to wade through! One thing I left out is that most companies do offer multi-pet discounts. I decided to add in the comparison, even if it is a bit blurry. Once I graduate I'm looking at a pay raise and hubby is currently waiting on a promotion at his job. Whichever comes quicker - then we'll get pet insurance we just can't afford another monthly bill right now. I love you breakdown, I understand the basics of insurance and am very thorough when I research but it certainly helps to have such a great breakdown! :-) Thanks for the post!! I definitely understand! I did not have insurance on my previous dogs and by the time I could afford it they were too old. It was a huge vet bill for my dog Freya that prompted me to look into it when I adopted Ruby & Boca. Thank you for this! I've looked at insurance on and off for a few months now. It's a confusing process! You're welcome! It's a subject I enjoy discussing. I agree 100%. Our example is Angel K. Her cancer treatment was over $10K and mostly covered by insurance, thank goodness. We love Pets Best (we've been with them for 15 years - and always buy a dog insurance on the day they arrive with us so there are no pre-existing conditions that we know of). The pre-existing condition thing blows my mind. I've had multiple people call me to say that their dog was just diagnosed with something, and they want to buy insurance right now. (they know I have insurance which is why they call me). They seem so mad when I explain that something diagnosed yesterday won't be covered... It seems to me that it's the very basis for insurance that you buy it *before* something goes wrong. Anyway, I'm glad you made that point so well. I'm so glad you were able to have help with Angel K's treatments. Yes, it's amazing how pervasive that link of thinking is, that you can purchase it once something goes wrong...and the fact that people DO is exactly why the pre-existing guidelines and waiting periods are so stringent. This is great info! Thanks so much for sharing. Insurance is definitely a topic that is tough to understand and this is very accessible! I sat down with our vet and talked about insurance, but we decided that the best option for us was the savings account option. We looked at our lifestyle and the types of risks my pets were most likely to encounter; for the cat, his biggest risks are related to his pre-exisiting bladder condition and for Barley, hers were possible hiking and agility injuries. When we compared the costs of hypothetical procedures to the amount I'd need to meet for a deductible on the plans I was considering and the amount of money I'd spend monthly, it made more sense to put the money I'd spend on insurance into an account just for the pets. Barley stays in her crate when she's not supervised, so she has a low risk for eating things she shouldn't and even though she's high energy, her reactivity keeps her from being off-leash when we hike, so I have a little more control over the risks she takes on those adventures. The cat stays indoors (or on a harness in my lap), so his exposure to dangers outside the house is pretty limited. I know the savings account won't be great if either one came down with some terrible disease or some weird thing like Boca's eye condition, but at this point it was a gamble I felt comfortable with. I agree with you, though, that responsible pet ownership requires people to have a financial plan for keeping their pets happy and healthy. I seem to be a magnet for the weird, freak things so insurance sets my mind at ease. Ruby also stays on-leash of course, but she's escaped from me a few times due to equipment failure or just pulled the leash out of my hands. We really need to work on her drop it and leave it cues - she will swallow things as fast as she can when she knows she's not supposed to have it - so naughty! This is such a fabulous article. You did such a great job defining all the terms that make reading the policies so difficult. You've really helped me in my process of learning about it, too. I think I'm finally ready to pull the trigger and purchase it. This is such a useful post! Thank you, Alix! I think it might be my longest post ever and I still feel like I didn't cover everything! Thanks for this excellent post, very informative! My husband is a 25 year insurance veteran so I'm used to the "boring" insurance talk LOL! Pet insurance is a great safety net, anything can happen and it's good peace of mind to have pet insurance. Sharing. Thank you, Cathy! I often see peoples' eyes glaze over when I tell them what I do for a living, but it's an important service. Yes, I'm very much in the "anything can happen" camp rather than the "nothing will happen to me" camp! Christy, do you mind me asking why those things weren't covered? Were they determined to be pre-existing? Boca's eye claim was initially denied as being a pre-existing condition, but my veterinarian helped me appeal the claim because she did not believe the prior eye abnormality to be related (Boca had a cosmetic asymptomatic spot on the same eye). 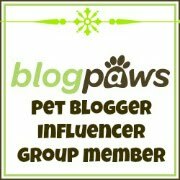 I've never considered pet insurance, but after reading your post I do plan to look into a little more. I actually found it very informative and easy to understand, so it wouldn't hurt to delve more into it. Thank you, April! It wasn't something I gave a lot of thought to until my Norwegian elkhound spent four days in neurology ICU and the bills were thousands of dollars. It really opened my eyes to how quickly things can add up. She was 14 at the time so past insurable age anyway, but I made insurance a priority when I decided to adopt again. I'm so glad it worked for you. 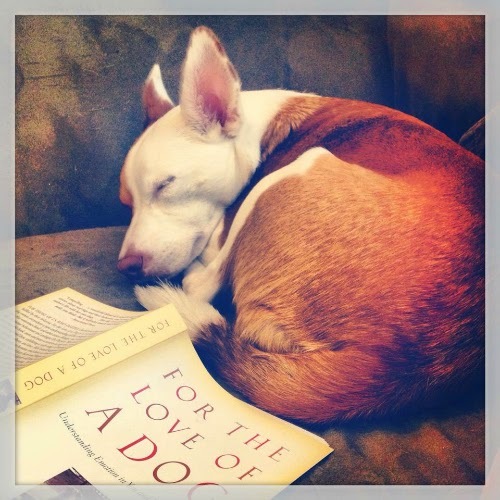 I was advised by a "pet communicator" to purchase insurance for Bruce. I need to for all three, anyways. Hmm...interesting! I know it can get pricey for multiple pets, but a lot of the companies do offer a multi-pet discount. I'm so glad that the insurance worked out so well for Boca's ordeal. I don't have pet insurance currently (but I do have a savings account for it) so this is definitely great information for when I do go ahead and purchase some. I didn't realize that wellness exams aren't necessarily covered, either. And thanks to all this great information I have my eyes on 2 companies that I want to look into further that sound pretty good. You can purchase separate wellness coverage, but some of the companies don't even cover the exam fee for an accident or illness. They consider it not related to actual treatment since it is a flat fee charged basically for walking in the door. The specialist visits were $90 a pop for Boca and if I'd had another company they may not have been covered. That particular difference really helped us out. Outside of wellness (routine) coverage, pet insurance is intended to cover unexpected expenses for accident or illness. I read some reviews by people upset that their dogs' spay or neuter surgery wasn't covered by insurance, but that is considered an elective surgery, not medically necessary. Let me know if you have any questions on the companies you're looking at - it's a topic I really enjoy! 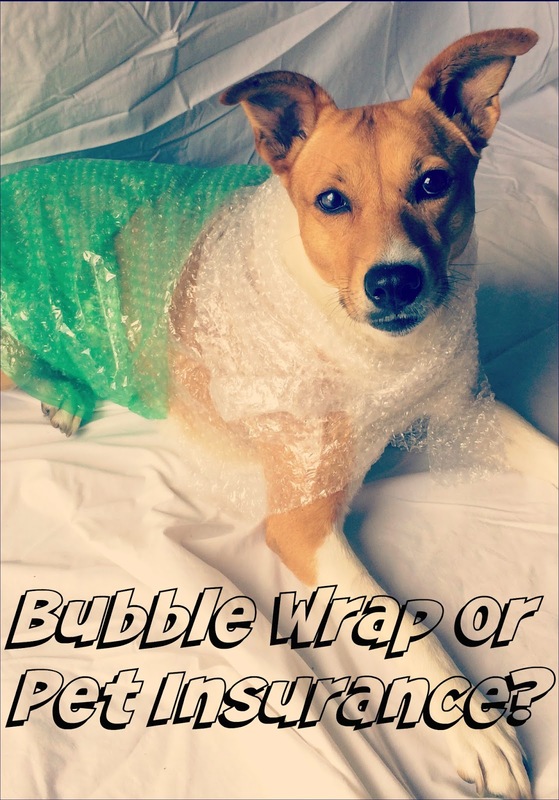 Firstly, I LOVE the photo of the bubble wrap! So clever! And thanks for sharing your experiences with insurance. Boca is such a good sport. Ruby is afraid of plastic bags so bubble wrapping was out of the question for her! The only animal I could cover with pet insurance is Khloee because all my other kids have pre-existing conditions. Luckily if something drastic were to happen, finances wouldn't be an issue with us, but it would be nice to save the money instead of spend it! Boca is such a sport. I'm SO glad it worked out well for you! Pre-existing conditions don't necessarily make an animal un-insurable, but in some cases it just isn't cost-effective if the whole dog is excluded. I'm glad you have a safety net! I have two senior animals (my horse and my cat) who don't have insurance, so I am happy to have some help with The Ginger Sisters' expenses. I have had pet insurance for close to 20 years and for 2 dogs and love it. We never once had a problem. I am thorough, include a cover letter, all receipts, records, and more than is even asked. And I would do anything for my dog but it is so nice to have this. VPI paid for 90 percent of two separate ACL surgeries in a year and my last dog had cancer that treatment cost over $5K. And they covered 90 percent with my then double cancer rider. You definitely go about it the right way, and it sounds like you were an early adopter as well! This is important information for anyone who owns a pet or is considering getting one. Pets are not cheap, and I get so tired of hearing about people who dump an ill or injured pet because they can't afford to treat it. Pet insurance is a real blessing in those cases. Thanks for sharing! I was just perusing the local Craigslist pet ads and saw someone giving up a heeler puppy because of a $200 vet bill! That's about as cheap as it gets for a vet visit! I've considered the insurance but sadly both my dogs are older now and the premiums were too high, so we don't have it. I do have a care credit card that has been a god send for taking care of those large vet bills. If I were to get a young dog in future, I would definitely consider insurance. I definitely know how that goes - my previous dogs were too old once I discovered and could afford pet insurance. Thanks so much for visiting The Ginger Sisters at Rubicon Days! 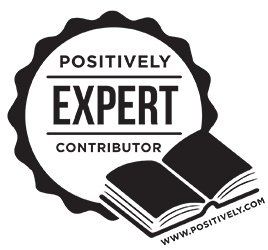 We enjoy each and every comment and love getting to know our readers. Lara is a Colorado native who loves travel, reading, writing, hiking, and living joyfully with two rescue dogs: Ruby the Border Jack and Boca the Bahamian Potcake. Be the Change for Animals: Save the Potcakes! Trick or Treat Giveaway: Roll Out the Red Carpet with Ruby! How Does Dogs’ Hearing Compare To Humans’? Nala Reviews: Dog Sports Skills, Book 3: Play! I am not a veterinarian, nutritionist, dog trainer or pet professional - simply a girl whose life has gone to the ginger dogs. Please consult the appropriate expert when making any decision affecting your dog's health or well-being. All words and pictures are my own unless otherwise noted, and are the sole property of Rubicon Days. Please do not reprint without permission and direct link back to this site. I sometimes receive products in exchange for my honest review, and some product links resulting in purchase on this blog may result in a small commission. The compensation received will never influence the content, topics or posts made in this blog. Product information published here is a result of my own experience and opinion. Any product claim, statistic, quote or other representation about a product or service should be verified with the manufacturer, provider or party in question. Rubicon Days respects your privacy and will never share your personal information with third parties. We do not store information collected about your visit or activity on Rubicon Days except to analyze website and content performance to optimize your experience and for marketing purposes. This information is collected via cookies and these can be turned off by modifying your browser settings. Header designed and illustrated by Fiona Hsieh. Simple theme. Powered by Blogger.